Coffin Gems® - 5CT BATWING PENDANT - Black Rhodium! 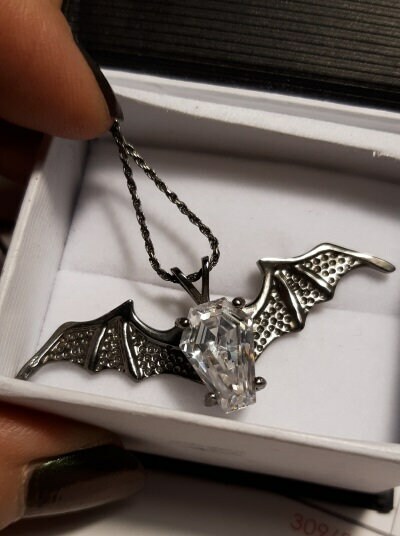 The beautiful 5ct Coffin Gems® batwing pendant! 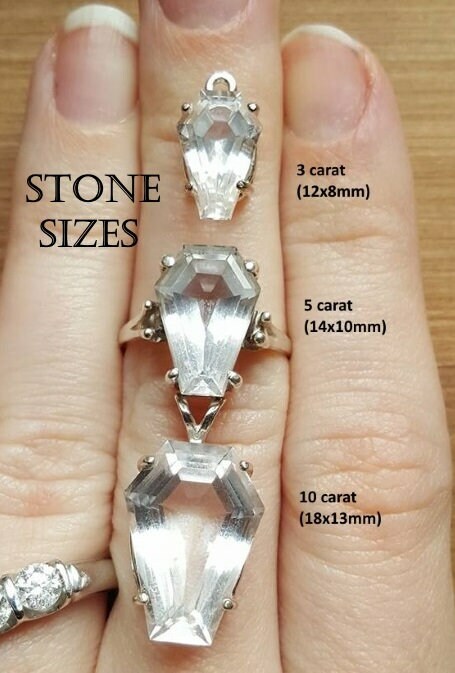 A 5ct Ghost coffin gem sits amid highly detailed batwings - done in solid sterling silver (USA grade .925), then finished with Black Rhodium to prevent tarnishing! The pendant is 2 1/2 inches wide by 1 inch tall (not including the bail). This comes with a matching sturdy 1.2mm diamond cut sterling silver, black rhodium finished rope chain -18 inches. Regularly this sells for $259.99. You can get it for $219.99!